The post Striper In The Surf appeared first on News Ocean City Maryland Coast Dispatch Newspaper. OCEAN CITY – The state’s highest court on Friday denied a petition by the Town of Ocean City to hear an appeal in the battle over ownership of a Boardwalk property, essentially bringing closure to the longstanding case.The state’s Court of Appeals on Friday denied a petition for writ of certiorari filed in February by... Read more » The post State’s High Court Rules Against OC In Boardwalk Property Battle appeared first on News Ocean City Maryland Coast Dispatch...READ POST. It was another absolutely beautiful spring day today with very warm temps and sunny skies…but once again the wind blew hard this afternoon and messed it up a little. 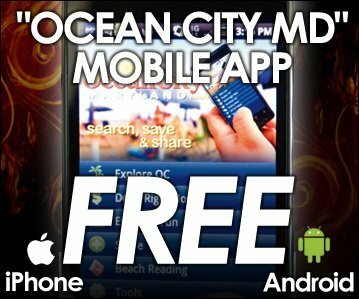 We’re looking at more wind for tomorrow and then some serious rain overnight into Saturday so you may be able to get it in tomorrow morning,... Read more » The post Nice Bay Tautog appeared first on News Ocean City Maryland Coast Dispatch Newspaper. ...READ POST. OCEAN CITY” Gateway Grand #905 2 48th Street Oceanfront Sat 10-12 3BR/3BA Condo Ocean & Bay Views Annie Buxbaum Long & Foster 443-235-0878OCEAN CITY 11 91st Street #103 Sat 10-12 1BR/1BA Condo Stylish & Cozy Stunning Views Annie Buxbaum Long & Foster 443-235-0878WEST OCEAN CITY Sunset Village #71 12626 Sunset Ave Sat 1-3 2BR/1.5BA Spacious... Read more » The post Open Houses Of The Week – April 19, 2019 appeared first on News Ocean City Maryland Coast Dispatch...READ POST. BERLIN – Town officials detailed proposed utility rate increases at a work session this week.At a work session Monday, Berlin’s elected officials met with department heads to review the town’s proposed fiscal year 2020 utility budget as well as the suggested water and sewer rate increases. Though a stormwater fee increase was initially proposed as... Read more » The post Berlin Mayor Suggests Delaying Stormwater Rate Increase appeared first on News Ocean City...READ POST. An Acai bowl for lunchSeeing my son smiling on the sports fieldUnsweetened iced teaA puppy’s smooth bellyBeing excited about a new applianceA budding tree this time of yearSoft, old T-shirtsRalph Waldo Emerson’s writingsTiger’s post-win moments with familyStarting with a clean desk on MondaysA baby’s pudgy hands and feet The post Things I Like – April 19, 2019 appeared first on News Ocean City Maryland Coast Dispatch Newspaper. ...READ POST. Whenever the Blood Bank of DelMarVa holds a blood drive in Ocean Pines, the Kiwanis Club of Ocean Pines-Ocean City mans the canteen where donors are provided with snacks and drinks to consume before leaving. Pictured, from left, are Kiwanians Suzanne Foley and Kitty Wrench providing to donors. The post Kiwanis Club Of Ocean Pines-Ocean City Mans Canteen At Blood Bank Of DelMarVa’s Blood Drive appeared first on News Ocean City Maryland Coast Dispatch Newspaper. ...READ POST. BERLIN — Evergreen Lodge # 153 of Berlin has recently received training from The Grand Lodge of Maryland to provide the Maryland Child Identification Program (MD CHIP). 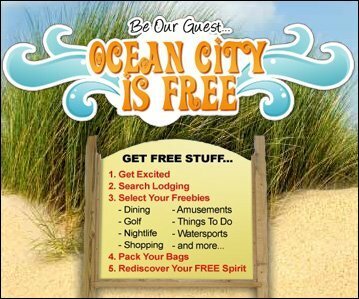 This service will be offered on Saturday, April 20 during the Berlin Spring Celebration from 10 a.m.-1 p.m. at the lodge on Main Street.This service is provided free... Read more » The post CHIP Program Comes To Berlin appeared first on News Ocean City Maryland Coast Dispatch Newspaper. ...READ POST. Getting text messages from my kids has been a recent adjustment.Although only 19 months apart in age, my boys are as different as they come with their mannerisms, personalities and approach to life. How they send text messages is yet another example of how different these boys are at this age.While Beckett’s texts are short... Read more » The post Adventures Of Fatherhood – April 19, 2019 appeared first on News Ocean City Maryland Coast Dispatch Newspaper. ...READ POST. BERLIN- Stephen Decatur’s varsity baseball team responded to a narrow 3-2 loss to county rival Snow Hill last week with a resounding 11-5 win over visiting Nandua.The Seahawks had been on a roll over the last week with a 13-3 win over Parkside, followed by a 12-0 win over another Bayside South rival in Wicomico.... Read more » The post Seahawks Beat Nandua, Improve To 6-2 appeared first on News Ocean City Maryland Coast Dispatch Newspaper. ...READ POST.